I am glad to say that #HIMSS18 is finally over after a long week in Las Vegas. My schedule started with the pre-conference events, the CHIME-HIMSS CIO Forum and the HIMSS Cloud Computing Forum. I spoke at the latter. 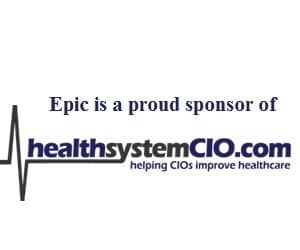 It was a great event that showed we are finally starting to see the healthcare IT community embrace the cloud infrastructure. However, it is fair to say that many healthcare executives are not thinking cloud first, and some even still prefer the on-premise environment of managing a data center. Below is a recap of my observation during #HIMSS18. IT Security is top-of-mind for every CIO/CTO. It is the area with the biggest exposure. The challenges stem from legacy infrastructure, shortage of IT security talent, and attackers becoming more sophisticated. CIOs are on high alert. We are trying to find the right balance of creating a secure solution while providing the best user experience. Cloud is everywhere now. You couldn’t walk the solution gallery without seeing a solution that is cloud-based. Google even made an appearance showcasing its cloud API which is designed to address interoperability — a HIMSS buzzword we’ve heard for years. Keep an eye out on what this will entail. Cerner announced that its HealtheIntent platform will integrate with Salesforce’s Health Cloud and Marketing Cloud to help improve consumer and provider engagement. The past few years, I have stated that in order to be successful in the population health space, health systems must overlay a CRM technology above the EMR. It looks like my prediction has come true, as we’re finally starting to see this trend. AI is everywhere, and everyone is claiming they have the best tool in the market. Here is my question: Will the clinician give up what they have learned to trust AI or even a robot for clinical decisions? This is a big shift in mentality and medical training. Uber Health was present to discuss how they can partner with healthcare organizations to provide reliable, comfortable transportation for patients. There is a dashboard that allows healthcare professionals to order rides for patients going to and from care settings. In addition, Uber is launching an Uber Health API to enable easy integration into existing healthcare products. IBM Watson had a huge space, which was filled to capacity during all hours of the day. The demos looked great, so I’ll be keeping an eye out for what’s next. Overall, the theme of HIMSS was consistent with a focus on security, patient engagement, data analytics on the cloud platform, and AI and machine learning solutions. I expect the same theme at HIMSS19, as these solutions are at the enterprise level and will require a huge investment along with the shift in organizational strategy to enable organizations to take advantage of the technology automation. 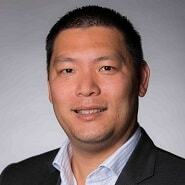 David Chou is Chief Information and Digital Officer at Children’s Mercy Hospital. Visit his blog page or follow him on Twitter at @dchou1107. Can Blockchain Be Used in IT Security? Do You Still Believe The Cloud Myths?